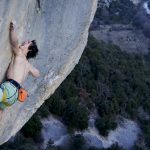 Austrian climbers Barbara Zangerl and Jacopo Larcher make the third-known free ascent of Zodiac (VI 5.13d) on El Capitan, Yosemite. Though shorter compared to its siblings on the main prow of El Capitan, Yosemite’s Zodiac packs some of the hardest free climbing in the Valley into just 16 pitches. First freed by the Huber brothers in 2003, the route ascends roughly 1,800 feet on the right side of the granite monolith. 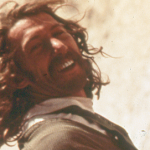 Zodiac was originally established as an aid line in 1972 by Charlie Porter on a solo mission. On Supertopo.com, Porter is quoted as saying “This was at the time of the Zodiac Killer, a serial killer in San Francisco. I would go up on the wall, come down, and ﬁnd that he had killed again. His killings seemed to be timed with when I was on the climb,” thus explaining the origin of the route’s name. 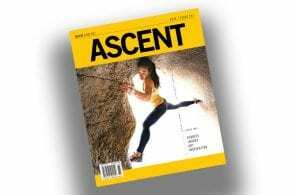 Less than two months later, over Thanksgiving 2003, consummate big-wall free climber Tommy Caldwell strung together the second free ascent of the line over six days. 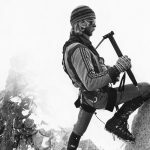 In the intervening years, from 2003 to Zangerl and Larcher’s ascent, there have been no reports of any other free ascents of Zodiac. 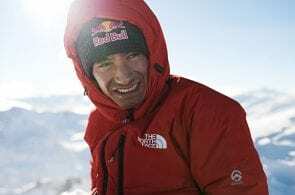 Larcher and Zangerl are both accomplished climbers across a variety of disciplines. 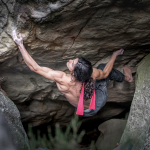 Larcher has climbed up to 5.14d sport, WI 6+ ice and V13/14 boulders. Zangerl has climbed up to 5.14c sport and V13 boulders, and is perhaps best known as the first woman to complete the “Alpine Trilogy,” a trio of routes consisting of Kaisers neue Kleider (8b+/5.14a), Silbergeier (8b+/5.4a) and Berchtesgaden (8b/+ 5.13d/14a). Zodiac was the second free route on El Cap for both climbers. 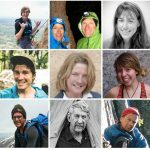 In 2015, they freed El Niño (VI 5.13c A0) together. Zengerl’s was the first female ascent of the route.